Everyone needs to collaborate and communicate in the business world, from Sole traders to Directors of Multi-national corporations. Unfortunately not everyone is doing this to the best of their capabilities. SightLink holds the key to unlocking an organisation's true collaborative capabilities and here we look at the positive effects it can have across several job roles common in many companies. The most sought after people in any company are its decision makers. This can mean a lot of time in meetings and a lot of wasted time travelling to them. The decision makers in larger companies tend to have an awful lot of departments and lower level management vying for their time not to mention customers. A service such as SightLink gives them the freedom to quickly invite any of them into their Virtual Meeting Room without leaving their office or even while travelling to other engagements. No time is wasted. Decision makers in small business’ often have the combined needs of a manager, sales person and marketer all at once. Critical here is the fact that worker mobility enables them to get more work done without massive cash investment. In the past organisations didn’t really want to see a lot of their sales people. They wanted them on the road, meeting clients and selling. it’s still the case that meeting face-to-face is important in deal making but you no longer need to travel to achieve this. 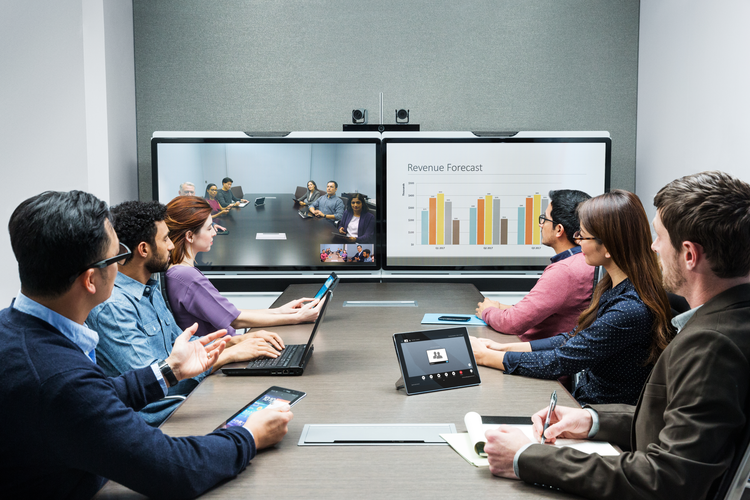 Fantastic high quality audio and HD Visuals bring you closer to being in the room than ever before, so when the deal is done the virtual meeting attendants will have to stop themselves trying to shake hands. This area of the business is all about communication with the workforce, training, and ensuring that the organisation's standards are kept. In large companies it’s very hard to keep personal with the personnel. SightLink not only allows fluidity in how employees communicate with the HR team but it also allows live streaming and recording of meetings. This mean that it’s no longer the case that HR will have to organise several meetings on the same topic to fit everyone’s schedule. Employees can attend when it suits them best. What’s more HR will see a dramatic increase in morale, decreasing staff turnover thanks to embracing worker mobility. Less travel means more time with family and friends. A sales person walks into their IT department with a trivial problem they can’t fix and the IT team member confirms that they have a “one D ten T” issue. It’s only when the sales person writes it down that they crack the code and see it spells 1d10t. The bane of most IT departments’ lives is the mundane problems that cause a knock on the door, so having simple to use solutions in place really make a difference to them. SightLink is as simple as clicking on a link to join a meeting; no install, no physical connection methods; using any device. Add to this integrated conferencing rooms with simple user interfaces and the IT team can focus on the truly hard tasks that make the business tick. Collaboration and the communication of ideas is key in marketing. By allowing people to collaborate and share at a drop of a hat means that those fantastic ideas won’t fade, nor will design ideas get lost in translation. Embracing a tool like SightLink means you can act fast with current events and strike first in marketing campaigns before a competitor has the same brainwave. The bottom line is where the buck stops. If the books don’t balance the organisation falls over. 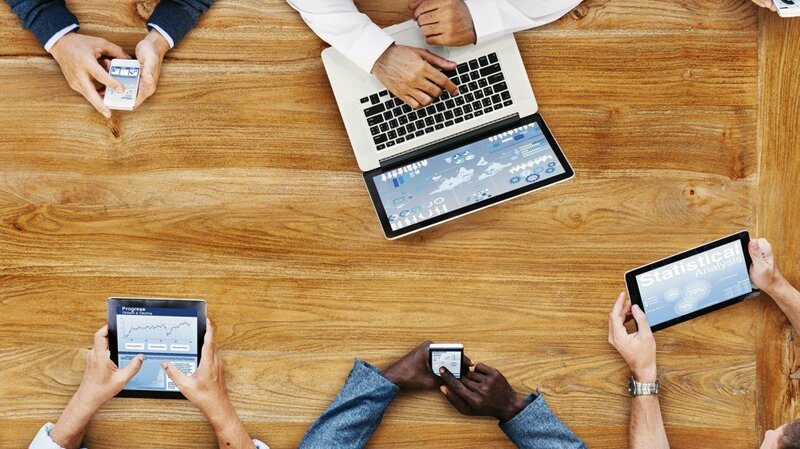 Nothing gives a better return on investment and ultimately saves money than introducing cloud conferencing. It’s cheaper than installing hardware and cheaper still when you consider travel costs and salaried time making these journeys. There’s no simpler way to cut expenditure in any organisation. This demographic occupies many of the departments listed above and it’s worthwhile to take into consideration how they expect to be able to work, communicate and collaborate. More and more of the workplace now believes that freedom and fluidity in how they work is a prerequisite. Whether it be working from home or the ability to schedule ad-hoc meetings quickly, having the best tools available such as SightLink ensure that the best employees are not only retained, but attracted in the first place.